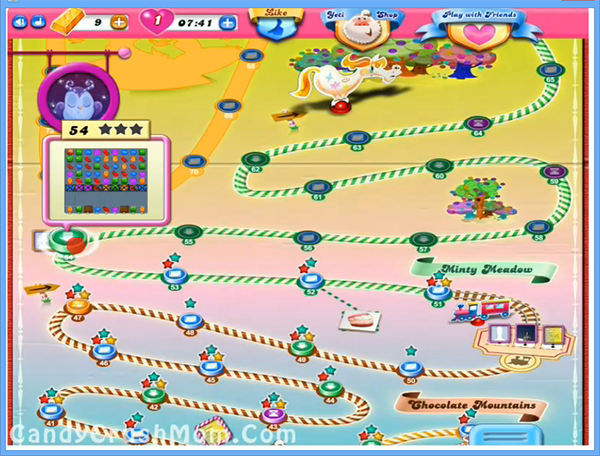 Bring down all ingredients(4) and reach 40000 points to complete the level. This level have ingredients requirement and you might need to bring two cherries and two onion ingredients to down. First you need to clear all blockers like you need to break grill boxes and chocolate so ingredients can easily come down or else try to make special candies. You might need special candy if you stuck in any blocker like grill box then you should try to make special moves near to it so you can break whole line. Some special move you can make is like combine striped candy that you can get by combing four same color candies with wrapped candy and it will break three rows and columns. We completed this level with 92240 score by focusing more on special candy and try to break chocolate and grill boxes as soon as possible.